Furnishing your home with Christmas-themed decorations in preparation for the festive season is one tradition that many a household love to partake in over the winter period. 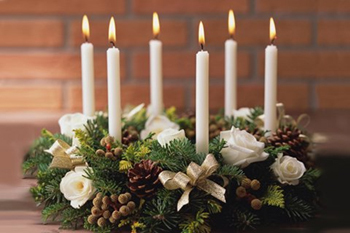 Creating a new type of ambience in readiness for Christmas and New Year really helps to generate a fresh and vibrant atmosphere that usually signals a time when families come together to celebrate. 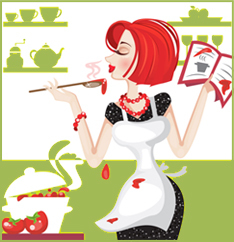 However, while many parts of the household receive their individual makeovers, an area that often gets overlooked in the run-up to Christmas is the kitchen. 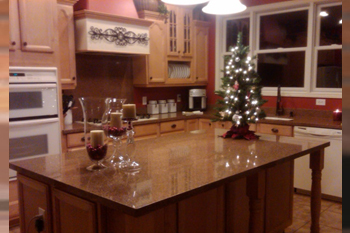 For this reason, this article will attempt to highlight some easy but extremely effective ways of sprucing up the appearance of your kitchen this Christmas. With the dark nights well and truly upon us, using candles as an alternative lighting method can really add a warm and cosy aura to your kitchen. Moreover, you can also get some scented candles that can add a whiff of pine with some stores even selling Christmas-specific scents. While there is unlikely to be much room in a kitchen for a full-scale Christmas tree that often takes pride of place in the living room, there is nevertheless the option to purchase a much smaller scaled-down tree that can be placed on your kitchen worktops. Just be careful where you place your tree – making sure that you’re not obstructing any particular working area of the kitchen! 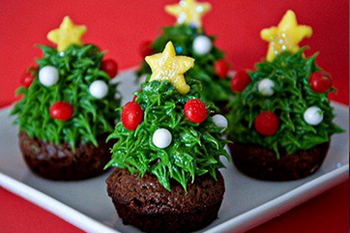 As long as you get your placement right, a small tree will add excellent festive value to your kitchen. Wreaths are often attached to the front of a household to welcome guests but utilising them in the kitchen is also a viable option when it comes to decorating the area. 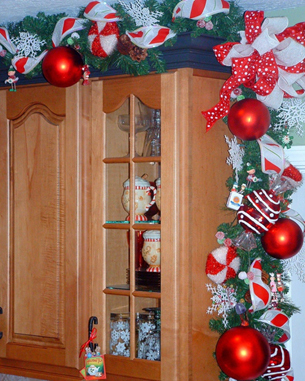 You can attach the wreaths to the outer linings of kitchen cupboards and kitchen units to bolster that wintery feel. Again though, it must be stressed that these must be placed carefully to avoid any obstruction. 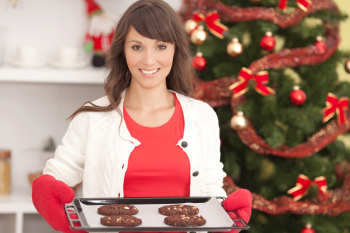 If you fancy yourself as a bit of a chef, then why not cook up some Christmas-themed treats for family and friends? Don’t make them too tasty, mind – they could be gone in a shot! One thing that Christmas doesn’t always guarantee is snow. 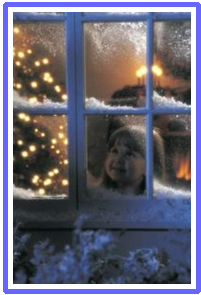 However, there is one small trick that you can use to replicate the effect of snow on your kitchen windows by using some temporary frosting spray to decorate them with what appears to be sprinklings of the white stuff. Matthew Wood is an SEO Copywriter who is currently developing a range of informative and engaging guest posts for the reputable online DIY Kitchen manufacturer Finsa Home UK on the subjects of Kitchen Doors and Kitchen Units.